This is the “green book” that started it all — the first book in English on JIT, written from the engineer’s viewpoint. When Omark Industries bought 500 copies and studied it companywide, Omark became the American pioneer in JIT. Here is Dr. Shingo’s classic industrial engineering rationale for the priority of process-based over operational improvements in manufacturing. 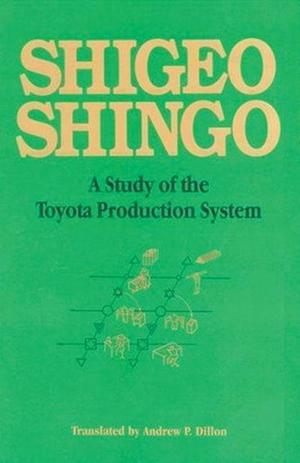 He explains the basic mechanisms of the Toyota production system, examines production as a functional network of processes and operations, and then discusses the mechanism necessary to make JIT possible in any manufacturing plant. If you are a serious student of manufacturing, you will benefit greatly from reading this primary resource on the powerful fundamentals of JIT.